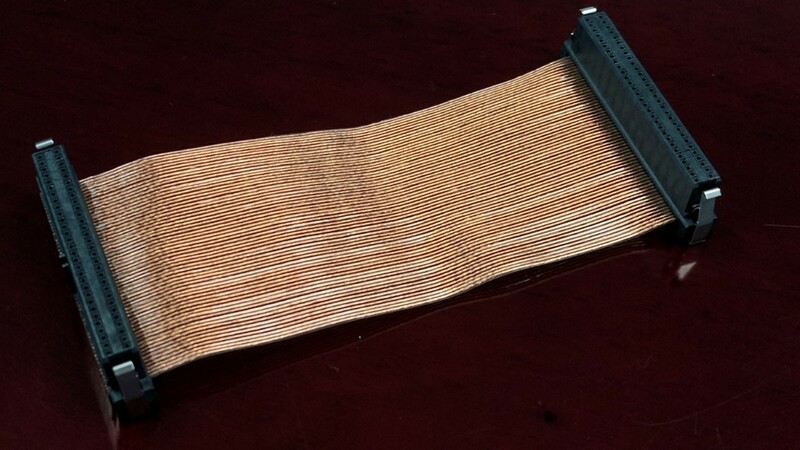 Valencia, CA; August 28, 2018: Cicoil, the inventor of the world’s first IDC Ribbon Cable in 1956, is pleased to announce the introduction of its new ultra-flexible Micro IDC Ribbon Cable. Unlike stiff PVC and Teflon versions, the space-saving, .025” pitch Cicoil version has been designed for tight routing applications that require dependable signal density, reduced cable width and exposure to harsh environments, mechanical stress and excessive temperatures (-65°C to +260°C). The Micro IDC Ribbon Cables are rated for 3000 Volts DC and are resistant to water, alcohol, hydrogen peroxide, humidity, UV light, radiation, flames, aging, autoclave, ozone, sunlight, fungus, vibration and many chemicals. When a non-adhering jacket surface is desired, Cicoil offers its SlideRite™ and GlideRite™ low friction coating options by request. Cicoil’s halogen-free Micro IDC Ribbon Cable is UL & CSA Recognized, CE Conforming, RoHS & REACH Compliant, Class One Clean Room Rated and are cured continuously, with no debris or material contamination in an automated, climate controlled environment. In addition, the non-particulate generating cables exceed the outgassing requirements of ASTM E595 and are also excellent for use in vacuum environments. If you would like to learn how Cicoil developed the first IDC Ribbon Cable, helped put a Man on the Moon and designed the first Class 1 Clean Room Cable, please check out our web site at www.cicoil.com.